"The seaweed is always greener in someone else's lake"
That's especially true when the closest thing to seaweed in your life is your sunbaked lawn full of crabgrass. After you saw The Little Mermaid as a kid you were always waiting for your fins to start growing as you splashed around in the pool on hot days. Deep down inside you just knew you'd have no trouble bonding with a pod of dolphins or finding the best shipwrecks to explore. Your parents thought you would grow out of your mermaid-like affectations and honestly, so did you. Still, sometimes you wake up in the morning in your boring sheets and find yourself wishing you were waking up in a giant clamshell under the sea. Is that really so much to ask? The life of a mermaid is full of amazing adventures and sights. You wouldn't even have any trouble getting along with Triton. You know what those land princes are all about, you'd have no trouble leaving dry land behind for the mysteries of the ocean floor. Now, we've tried working on gills to give to people like you, unfortunately, that's totally not our wheelhouse. Turns out we accidentally hired a mad scientist--but that's a different story and he's gone now, we swear. 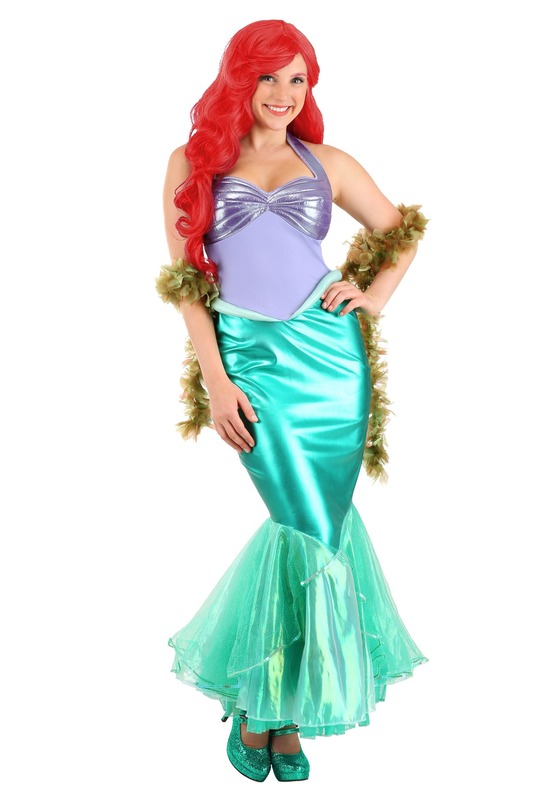 Instead of gill surgery, you might like this comfortable yet glamorous mermaid gown. 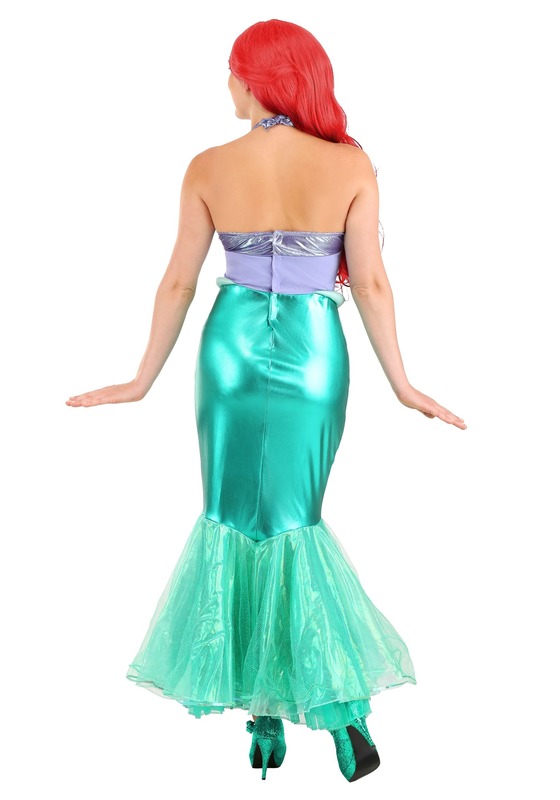 Everyone will finally recognize you for the mermaid you are with the shell top, sheer midriff covering, and a fitted green skirt with a flaring hem. It's time you found out if that mermaid lifestyle is as green and carefree as you thought it would be.